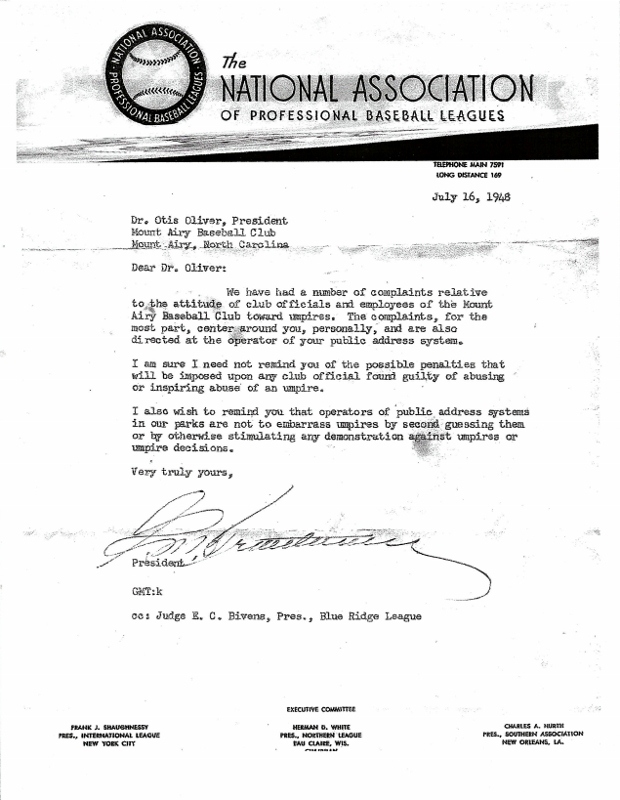 During the 1930-1950s, almost every town of any size in North Carolina had a professional minor league baseball team. 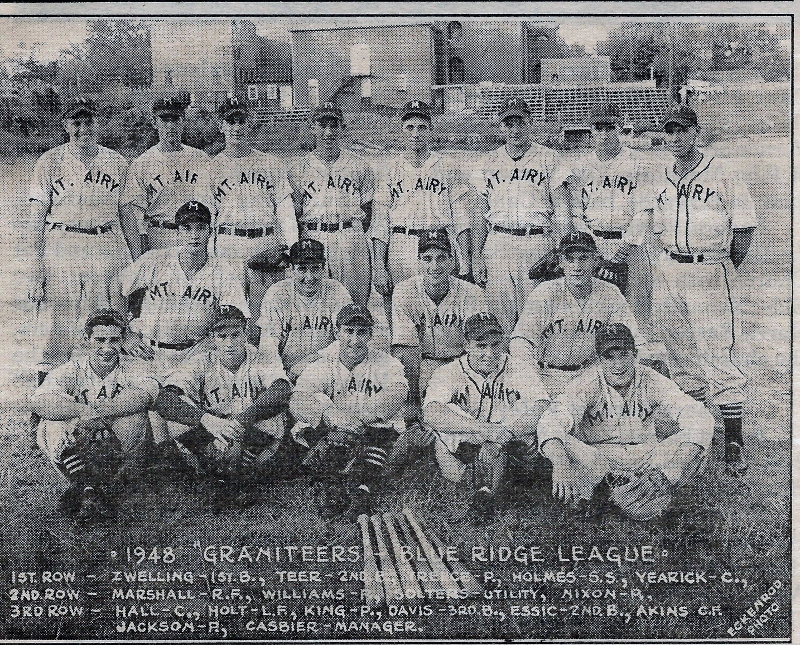 Mount Airy featured two teams: The Mount Airy Reds from 1934 - 1937, and the Graniteers from 1938 - 1941 and 1946 - 1950. 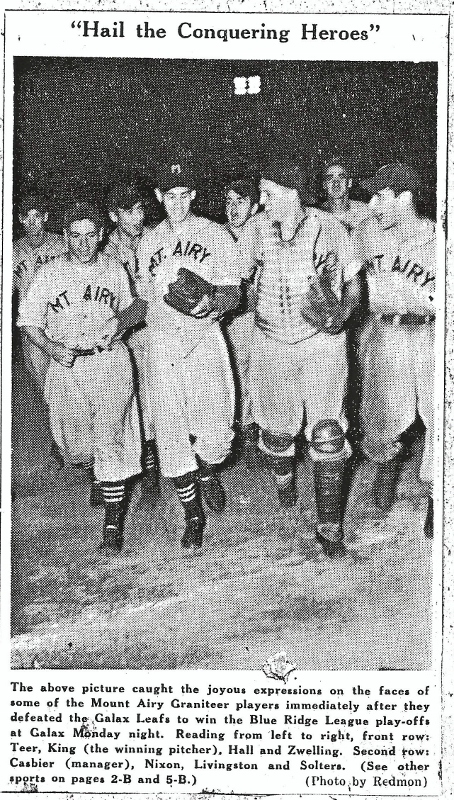 After being interrupted by the War, baseball returned and life-long friendshops formed between the players and fans during the final Graniteer years. 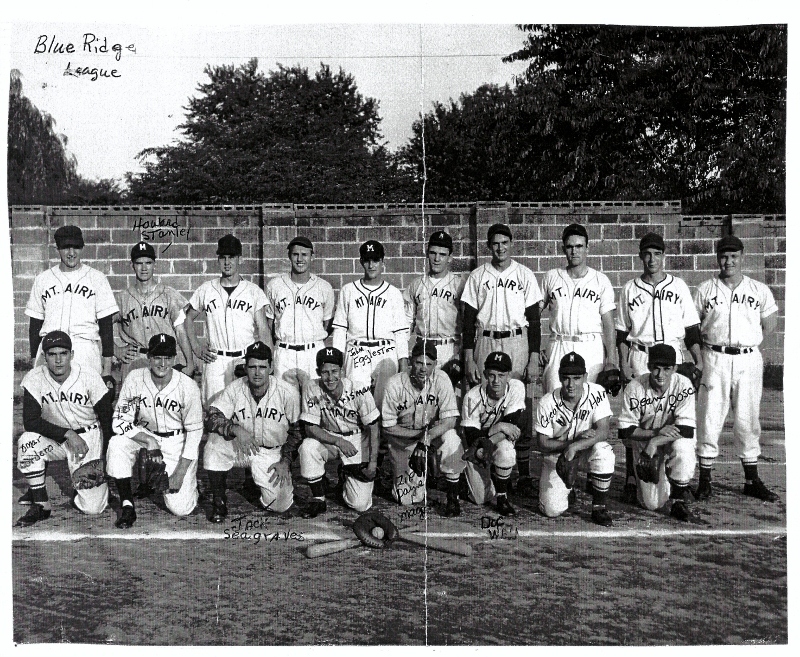 The Blue Ridge League folded in 1950 with the Graniteers winning the league championship. Professional baseball never returned to Mount Airy or other small towns, but the memories continued with players who settled in the Mount Airy area and through reunions that brought players and fans together. Blue Ridge League Playoff Winners!